Looks like Drake Drizzy Ryder has been denied by ABC for their “Good Morning America” concert series. It seems like the riot last month at the South Street Seaport changed “Good Morning America’s” minds about adding Drake to their performers list. The Parks Department could not come up with the security staffing that the NYPD thought would be necessary for such an event, police sources said. “We were interested in having Drake perform, but he was never officially booked,” an ABC spokesperson said yesterday without elaborating. Grammy winning rapper Eminem, remained no. 1 at this week with 313,000 sold which brings his grand total to a whopping 1,057,700 records sold a in 14 day period. 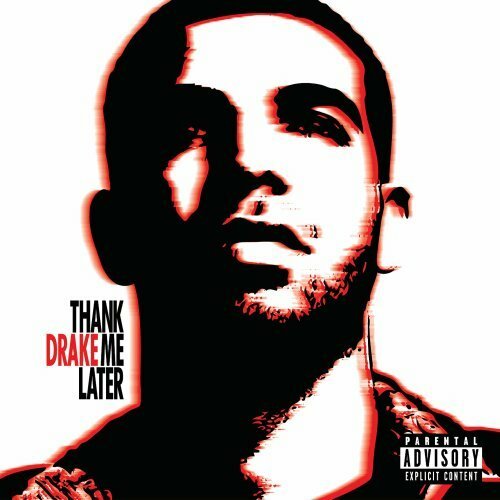 Drakes Thank me Later also remained solid with a grand total of 104,900 sold this week, which brings his grand total to 708,900 records sold in a three week period. You gotta love the loyal fans these two have. According to Billboard and Hits Daily Double, Drake had already gone platinum in his native Canada and gold in the US with 462,989 units sold. 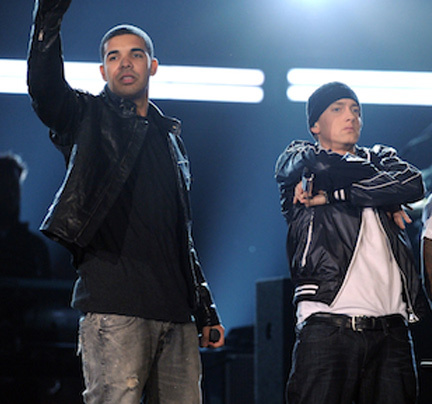 The sales for Thank Me Later marks the biggest opening for a rap artist debut ever – beating out Eminem and Kanye’s previous sales. And to top it off he’s got a whopping 13 – yes 13 songs on the Hot Digital Songs chart. There’s not much else to say except Congratulations – dude killed it! Drake brings out L.A. Lakers Finals MVP Kobe Bryant before performing over. Drake has been making friends with alot of high profile celebs this past year. He also brought out LeBron James (Future Knickerbocker) during his performance in Cleveland Ohio earlier this month. 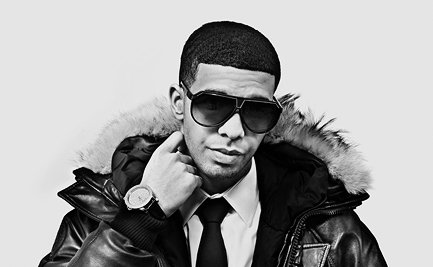 Aubrey “Drake” Graham has taken the rap industry by storm in the past year with numerous number of hits at the mixtape and commercial level. The Toronto lyricist is on the verge of dropping one of the most anticipated albums of the year, Thank Me Later. In between his crazy schedule, Drake was able to sit down with XXl and give his thoughts on RnB records and why he’s trying to become a better rapper. What’s the difference between writing R&B records and rap records for you? Drake: R&B records, to be honest with you, is kinda like, I mean, process wise, like the way Jay writes raps I guess or the way Wayne writes raps. Like, they don’t write things down, they just like say it in their head and are able to retain all the information in their head [that’s] how I write R&B. I don’t write down the lyrics, I kind of just stand in the booth and I just keep singing and singing until I just find melodies and words that make sense or come together. Or I just stand in there and find melodies that I love and then really go outside of the booth and think about what’s been going on in my life and try to put words to it. R&B though, I mean it’s really pretty much the same content-wise, you know, it’s all pretty honest stuff. I always try to keep in mind that both male and female will be listening to it so I try to make R&B music that’s not too sappy and not too “girl this” and “girl that” just so that like I sound like a man who’s thinking. I sound like a man who’s confident just so that it’s not awkward for other men to listen to. And then at the same time I try to keep it empowering for women. Really I just like, I like my R&B to feel a certain way and then I that feeling is usually evident so when I get there I’m like okay, yeah, yeah, this is it. Do you feel that you can go bar for bar with anybody? 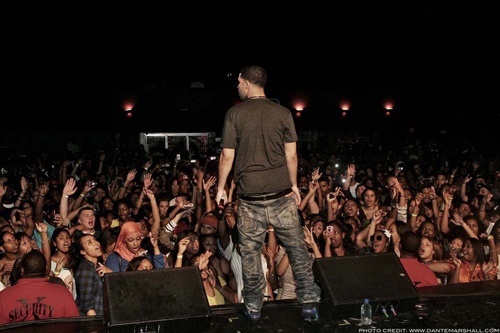 Drake: As far as rappers? Um… I’m really still trying to become a better rapper, you know? And I still have idols. I still have people I look up to. I definitely don’t feel that I’m the best I can be nor am I the best rapper. Like I said, I just love making the music, and I’m less concerned about where I stand in the rankings and more about just where I stand with myself, like am I getting better? You know, am I the best I can be? I really don’t care about like compared to Hov or compared to Wayne. That’s another man. I’ve never been really worried about what anybody else is doing. I just use it as reference points and as influence and inspiration, but I don’t really bother myself with thinking who’s the best. ’Cause that doesn’t really matter. It’s just who’s got the songs that move people at the time. Like if you’ve got the title of being the best rapper but you don’t have the hottest songs out? To me, that’s what’s important is just like putting out consistently good product. I don’t really care how they rank me or anything like that. For more of the interview check it out HERE. Props to XXL for the link.